A2LA:The acronym for the American Association for Laboratory Accreditation. It is the only independent, non-profit, internationally known accreditation body in the US that offers a full range of comprehensive laboratory and laboratory-related accreditation services and training. Accelerometer:This is a device for measuring acceleration. 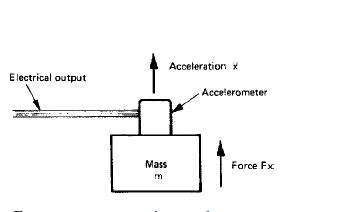 The force causing the acceleration of a body is a product of the body mass m and the acceleration a. This is shown mathematically below. This principle makes possible the force measurement of vibrating masses under the influence of a dynamic force by using accelerometers. Accuracy:The degree to which the output of the measuring instrument conforms to the actual value. In engineering, the accuracy of an instrument is the greatest horizontal deviation of the output responses from the calibration line. Active Transducers:A transducer whose output power is supplied mostly by an external source of energy such as electrical energy. A good example of this is the strain gauge incorporated in a Wheatstone bridge to cause a voltage output due to changes in its resistance, the voltage output depends on the excitation voltage. Air Supply Regulator: The opening on a pneumatic load cell that regulates the supply of air into the confined space of the load cell’s cylinder. It is located close to the bottom of the load cell, below the diaphragm and controlled by a valve. Alloys: An alloy is a metal made from the combination of two or more metals to give better or the desired properties. Such properties might include greater strength, greater resistance to corrosion, thermoelectric properties etc. They form a majority of the raw materials from which force measurement instruments are made. They include Nickel alloys, aluminum alloys, zinc-based alloys, copper alloys etc. Amplifier: The electronic device that amplifies the magnitude of the electrical output of a transducer. Most transducers produce output electrical signals that are very small in magnitude usually in the order of millivolts. This small signal cannot be used directly for processes such as system control or even display, hence an amplifier is used to boost the signal. The most commonly used and efficient amplifier for force measurement is the Instrumentation Amplifier. Analog Circuit: An electronic circuit that deals or handles continuously varying signal called analog signals for the purpose of conveying information through changes in current, voltage or frequency. Old instruments relied on this type of circuit, but in modern instruments, they are used in combination with digital circuits to give a more accurate result. Analog Instrument: The category of measurement instruments that consists basically of an input transducer, signal conditioners that amplify and filter the signal and output elements such as displays. The input transducer converts the analog signal into an equivalent analog electrical signal that has to be amplified, with electrical noise filtered off and then displayed to indicate the quantity of the analog signal. Analog-Digital-Converter: An electronic systems that convert the analog output of force transducers into digital signals. It is abbreviated as ADC and consists of elements such as anti-aliasing filter circuits, sample and hold circuits, and digital encoders. There are also different types such as the flash ADC, successive approximation ADC, and sigma-delta ADC. Angular Load Concentric: The load applied in a way that its central axis is concentric with the primary axis of the load application point but at an angle with respect to the primary axis. Angular Load Eccentric: The load applied in a way that its central axis is eccentric with the primary axis of the application point and at an angle with respect to the primary axis. ANSI: The acronym for the American National Standards Institute. It is a non-profit private organization that oversees the development of voluntary consensus standards for products, services, processes, systems, and personnel in the US. Some of these standards apply to force measuring instrument such as load cells. Anti-Aliasing Filter: The electronic circuit that bandlimits the output of a transducer to frequencies below the Nyquist frequency. This is so that aliasing would not occur when the signal is being converted back to its analog form by a DAC. This is present in modern digital instruments. Application Point: The point of application of the load/force or weight to be measured by the instrument. It normally should have a loading platform fixed to it so that the load is equally distributed and transmitted to the force measurement transducer. Automation: The creation and application of technology to monitor and control the production and delivery of products and services. This is one of the vast applications of a force measuring instrument. Axial Alignment: The alignment of the applied force or load along the transducer’s principal axis. This is very important in the design and installation of an accurate force measurement system. A good force measurement system that measures a single force component should be insensitive to orthogonal force components. Axial Load: The load that acts parallel to the axis of the platform or point of application. Axial Thrust: A propelling force that is applied along the axis of a body in order to push the body against a platform towards an opposite direction. It is the type of driving force generated by the propulsion system of an airplane and a pogo stick. Bonded Resistive Foil: A thin piece of a metal strip attached to a structural member of an instrument or bonded to a non-conductive backing. This describes a strain gauge. Bleed Valve: A valve attached to the body of the diaphragm of a pneumatic load cell. Its movement with respect to the deflection of the diaphragm by the external load closes and opens the outlet nozzle of a pneumatic load cell. Bourdon Tube: The tube that connects the outlet of a pressure transducer to the pressure gauge. It transmits the pressure (force) in the hydraulic load cell to the gauge. Bulk Micromachining: The MEM fabrication technique which describes a subtractive process that uses etching to create large grooves, pits, and channels on a substrate. Bulk micromachining is majorly used in producing pressure sensors and accelerometers. Calibration: Calibration is the comparison of the reading of the force measurement instrument to a known standard and the maintenance of the evidentiary chain from that standard. It is also called traceability and it plays a great role in eliminating the systematic error. Calibration Curve: A graph showing how the analytical response of the instrument changes with the applied force or load. There are several methods used in plotting this curve, one of which is finding the straight line that best fits the scattered set of readings. Capacitive Load Cell: A load cell that causes the capacitance of the transducer to vary with the stimulus. The changes in capacitance are converted into electrically measurable quantities such as voltage, which then shows the equivalent size of the force or load being measured. This type of load cell demands electronic circuitry but its design is mechanically simple and also very sensitive to the input signal. CE: The abbreviation of the French phrase “Conformité Européene“ which means “European Conformity” in English. This marking shows that an instrument complies with the requirements of the European health, safety, and environmental protection legislation. Load Cell Indicators: The devices that provide high accuracy output and allow easy amplification and display of the measured load (force/weight). They include LCD and LED displays for easy reading of measurements. Center Of Mass: The unique location on the body at which the total mass of this body acts. The total mass of a body is assumed to be fully concentrated at its center of mass. Centrifugal Force: The type of force that acts on a body that is in a circular motion. The force is directed away from the center of rotation of the body. Certificate of Conformity: A document given by a competent authority to original equipment manufacturers showing that their equipment, products or services meet the required specifications. These specifications include a set of regulatory, technical and safety requirements. 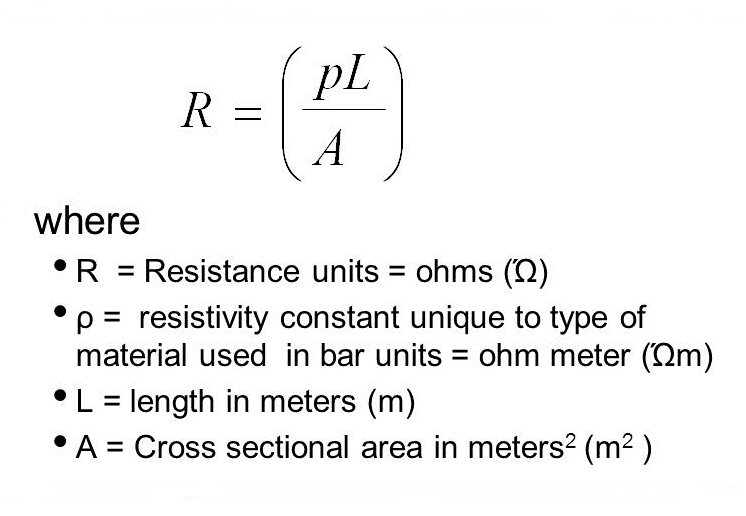 CMRR: The acronym for Common mode rejection ratio of an operational amplifier. It is the ratio of the differential gain to the common mode gain. Simply put, it describes the ability of the operational amplifier to maximize the differential gain at the expense of the common mode gain. It is normally quoted in dB. Common Mode Signals: These are identical signal components on the inverting and non-inverting inputs of an instrumentation amplifier. Common mode signals are noise signals that are induced equally in both input terminals, the input wires are always closely twisted together to help reduce the noise effects. This, therefore, means that an ideal instrumentation amplifier will cancel out the common mode signals and amplify only the differential signals between the two wires. Compression Force: The physical force that acts inward on a body and causes it to become compacted. This type of force is observed when a spring is compressed and the physical dimensions and geometric shape of the spring changes. Corrugated Plate Diaphragms: These are diaphragms that have greater deflections, better linear characteristic curve, and improved sensitivity when compared to flat diaphragms. They are majorly used in high-pressure applications especially in pneumatic load cells. Creep: This depicts the change in the load cell output with time when a constant load is placed on its point of application and all the ambient conditions are kept constant. This means that if a known constant weight is placed on the load cell for a long time, the output reading changes over time even though no weight is being added or removed. The creep for a particular load cell is always specified in its datasheet. Creep Recovery: This is the change of output following a step decrease in the applied force, usually from the rated load capacity to zero-load. In other words, it is the change in the zero-load output of a load cell after the removal of the rated load that has been applied for a specific period of time. It is specified as a percentage of the rated load capacity over a specific period of time. Data Acquisition: This is the process of measuring physical stimulus (in this context, force, load or weight), converting the result into digital signals and storing them in computer memory for later use or distribution. Modern instruments are basically data acquisition systems whose output can be stored in a computer or even transmitted over a long distance remotely. Data Acquisition Rate: This is another name for Sampling rate. Data Filtering: The removal of unwanted noise signals from the data being acquired so as to obtain an accurate reading. Datasheet: The document that shows the summary of the technical and performance characteristics of an instrument. The details contained in this document is very useful to engineers when designing a system that requires the incorporation of the instrument. It is always provided by the supplier or the OEM. Dead Load: The constant load in a structure due to the weight of its structural members or accessories. Deformation: A change is the dimensions (length and area) of a material when subjected to a stress or strain. Deflection: The change in the length of a structural member of a load cell when subjected to a load. In a force-balance measuring instrument, the load causes a deflection in the diaphragm and transmits the applied load to the fluid or gas in the confined space. In a strain gauge load cell, the deflection of the structural members transmits the applied load by causing a strain to the strain gauge. Diaphragm: These are thin elastic plates that deform when subjected to loading. Dielectric: The electrical insulator located between the two parallel metallic plates of a capacitive transducer. 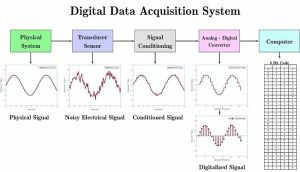 Digital Instrument: The category of a measurement instrument that deals with digital signals. It consists of the major elements present in an analog instrument. However, it requires majorly that the analog output from the input transducer be digitized by using an analog to digital converter. The digital signal is then processed by using a digital signal processor to perform tasks such as filtering, multiplexing, digital display etc. The instrument can also include a digital to analog converter that generates an analog output equivalent to the original output. Generally, modern-day instruments are digital. Digital Pressure Transducers: The pressure transducer whose output is in form of a digital signal. Most pressure transducers use pressure gauges to indicate the equivalent form of the quantity being measured. Digital types have digital displays and the output can be transmitted over a long distance for remote monitoring of plants. Digital-Analog Converters: These are electronic circuits that converts digital signals into analog signals. It is abbreviated as DAC. They work in an opposite manner in comparison to ADCs. The most common types of DACs are the binary-weighted DAC and the R-2R ladder DAC. Drift: The random change in the output reading under constant loading conditions. It is kind of similar to creep. Ductility: The ability of a metallic material to undergo plastic deformation when subjected to stress. Plastic deformation is often used as a technique to permanently record an applied force. Dummy Gauge: The passive temperature compensation resistor placed on the arm adjacent to the active arm of a quarter-bridge strain gauge setup. The dummy gauge eliminates the effects of temperature on the strain measurement. This is because there are identical temperature changes in both the active strain gauge and the dummy gauge. Dynamic Force: The type of force whose magnitude varies with time. In measuring any instantaneous value, the force measurement instrument must have a frequency response sufficient enough to follow the changing force. Eccentric Loading: A loading condition in which the center of mass of the applied load is not on the central or neutral axis of the load cell’s application point. It is also called offset loading and it produces a bending moment along with the axial stress generated by the eccentric load. 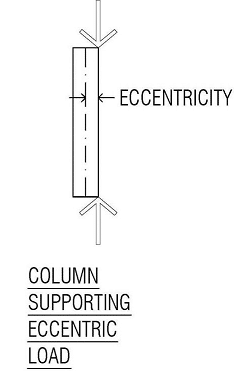 Eccentricity: The distance between the central axis of a transducer central axis to the center of mass of the load. Electrical Excitation: The external electrical energy supplied to the input terminals of the transducer to power its operations. Electrical Output: The electrical signal produced as the output of the transducer in response to the applied load. Electrical Transducer: The sensor device that detects an external phenomenon or stimulus (such as force, pressure, displacement, acceleration etc.) and transforms this into an equivalent analog electrical signal. The output electrical signal is therefore proportional to the applied load, hence its value is quantified. Electrostatic Sensitive Device: These are parts or components of a force measurement instrument that can be damaged by common electrostatic charges which build upon the instrument operators, tools and other types of conductors. It is abbreviated as ESD, which can also stand for electrostatic discharge. EMC: The acronym for Electromagnetic compatibility. It is defined as the ability of an instrument or a device to function satisfactorily in its electromagnetic environment without introducing intolerable electromagnetic disturbances to anything in that environment. In other words, for an instrument to be said to have an EMC, it must be able to operate efficiently without interfering with other systems within a specified electromagnetic environment. EMI: The acronym for electromagnetic interference. This is a form of environmental pollution that can cause malfunctions of electrical and electronic devices, can prevent proper use of the radio frequency spectrum, can ignite flammable atmospheres and has a direct effect on the human tissue. EMC practices help to control various forms of EMI. Environmental Conditions: The environmental factors that influence the operations of force measurement instruments. They are also called ambient conditions. They include the atmospheric pressure, ambient temperature, humidity etc. Error: The difference between the actual value of a force, load or weight and the true value. In instrumentation, an error is always expressed as a percentage of the full-scale output. Measurement errors are basically systematic errors and random errors. ESD: The acronym for electrostatic discharge. It is the sudden flow of electricity between two materials at different potentials caused by the imbalance of electrons between the two. The acronym can also mean electrostatic sensitive device. Etching: The process of removing parts of a thin film deposited on a substrate material. Etching is one of the steps involved in the production of MEMs such as strain gauges. There are different types of etching, but majorly they are dry and wet etching. Fatigue Life: The number of total full cycles of applied force which may be applied before the measurement uncertainty will be altered beyond specified limits. Feedback Amplifiers:These are electronic devices used to amplify the output of a transducer employed in a feedback control system. The transducer measures the output of a process and then converts it into an electrical signal. The electrical signal, if weak, is amplified by a feedback amplifier and compared with the reference input or set point. Feedback amplifiers are instrumentation amplifiers. Field Calibration Methods: These are methods used to determine the repeatability of the measurement process. These methods are very important in process application, where repeatability is far more critical to the control system than the absolute accuracy of measurements. Flexural Bond Strength: The flexural strength of a bonded material. It depicts the maximum amount of stress experienced by the bonded material at its moment of yield or fracture. Foil Strain Gauge: A type of strain gauge that consists of a metal foil pattern mounted on an insulating backing or carrier. It is constructed by bonding a sheet of thin rolled metal foil on a backing sheet. The patterns on the gauge are produced by photo-etching. Force-Balance Systems: The measurement systems that employ the use of feedback systems to ensure that the output electrical signal is directly proportional to the applied force. These systems give high stability, high accuracy and are suitable for measurement of dynamic and static force. Formal Calibration: The calibration process that is normally performed by approved laboratories, where the instrumentation used is periodically calibrated and traceable to primary standards; the operators are well trained in calibration techniques, the temperature is controlled, and atmospheric pressure and humidity accurately measured. Frequency Response: The highest sinusoidal frequency component of an applied force that the force measurement instrument can measure to a specified satisfactory accuracy. 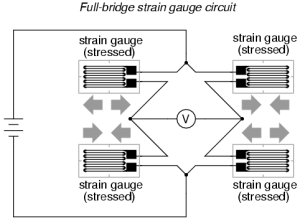 Full-Bridge Strain Gauge Load Cell: The strain gauge load cell that has four strain gauges fixed into the four arms of a Wheatstone bridge circuit. The strain gauges are arranged such that the two responding to either compression or tensile forces are on adjacent arms. Full-Scale Output: This is the output of the force measurement system at rated load capacity minus the output at zero-load. It is abbreviated as FSO and also called the span or rated output. Gauge Factor: The ratio of the fractional change in resistance to the fractional change in length. It is a very useful parameter for comparing the quality of strain gauge transducers. Half-Bridge Load Cell: The strain gauge load cell that has two strain gauges fixed into adjacent arms of a Wheatstone bridge circuit, together with circuit completion resistors. Hydraulic Fluid: The medium by which the pressure generated by the applied load is transmitted to the pressure gauge. The fluid is housed in the confined space in a hydraulic pressure transducer. Hydraulic Load Cell: A type of mechanical, force-balance load cell device that measures pressure or load by using a piston-cylinder arrangement. This arrangement uses a fluid housed in a confined space in the body of the cylinder to transmit pressure to a pressure gauge through a connecting tube. The pressure output on the gauge then shows the equivalent size of the applied load. The pressure output can also be a pressure transducer instead of a gauge. Hysteresis: The difference of output readings between the increasing and decreasing forces at any given force. That is, it is the difference between the readings of a load cell transducer as the load is increased [from zero-load to its rated capacity] and the readings as the load is decreased [from rated capacity to zero-load]. Input Terminal Resistance: The resistance measured across the excitation terminals of a force transducer at standard test conditions, with zero-load, and with the output terminals open circuited. ISA: The acronym for The International Society of Automation. It is a non-profit technical society for engineers, technicians, businesspeople, educators, and students, who work, study or are interested in industrial automation and pursuits related to it, such as instrumentation. ISO: The acronym for the International Organization for Standardization. It is a global network of the world’s leading standardizers that brings together experts from all over the world to develop International Standards. The organization issues the certificate of conformity to OEMs. LCD: The acronym for Liquid Crystal Display. LED: The acronym for Light Emitting Diode. Load: This refers to forces, deformations, and weights exerted, applied or placed on a surface. A load is a vector quantity, meaning it has magnitude and acts in a specific direction. Load Cell: The sensor device that is used to detect a physical parameter or stimulus (force and pressure) and then produce an output that is proportional to the stimulus. Load cells are generally linear systems but they are of different types and designs with the most common ones being hydraulic load cell, strain gauge load cell and pneumatic load cell. Read: How Do Load Cells Work? Loading Platform: The interface through which force/load is applied to a force transducer. Depending on the design, there may be upper and lower loading surfaces of a compression force transducer or the upper and lower screw threads of a tension device. Load cells should come with mounting kits that serve as loading platforms and ensure appropriate force distribution on the device. LVDT: The acronym for Linear Voltage Differential Transformer. It is an inductive transducer that consists of a primary winding and two secondary windings wound around a magnetic core. The primary winding is excited by an AC voltage, the movement of the magnetic core then varies the mutual inductance of the two secondary windings with respect to the primary coil. The device uses the basic principles of magnetics to detect a load and then produce an output voltage proportional to the load. Machine Operator: The skilled personnel that has been trained to operate a machine or device such as a force measurement instrument. Magneto-Elastic Load Cell: The force transducer that operates on the effect that when a ferromagnetic material is subjected to mechanical stress, the magnetic properties of the material are altered and the change is proportional to the applied stress. They are majorly used in rough and electrically disturbed environments. Manometer: The device that measures the pressure in a liquid. It is commonly used in conventional hydraulic load cells. Mechanical Vibrations: These are oscillations that repeat within a time period. There are different classes of vibration: free (undisturbed) and forced (disturbed), damped and un-damped (has negligible or no damping), nonlinear and linear, and random (unpredictable) and deterministic. MEMS: The acronym for Micro-Electro-Mechanical-Systems. They are miniaturized electro-mechanical elements that are made using micro-fabrication techniques. Micromachining: This refers to techniques for fabrication of 3D structures on the micrometer scale. It is a new trend in manufacturing that seeks to meet the demands for micro components for reduced size and weight applications. MEMs are manufactured using micromachining techniques such as photolithography, laser micromachining, micro-electronic discharge machining etc. Microcontrollers: : A small computer unit on a single integrated circuit. The computer system consists of a processor, memory and other peripherals. They are embedded in the design of modern force measurement instrument for the purpose of performing digital signal processing. The microcontrollers have analog to digital input terminals and digital output terminals that can connect to actuators and display devices to control an industrial process or display the result of measurements. Modulus Of Elasticity: The measure of the resistance of a material to elastic deformation when subjected to a load. mV: : This means Milli-Volt. The raw unconditioned analog output of an electrical transducer is always a weak signal of the order of millivolts. Natural Frequency: The rate at which a body vibrates when it is not disturbed by an external force. In simple terms, when a body is given an initial displacement force and the force is withdrawn, the body starts oscillating about its initial equilibrium position and continues to oscillate on its own accord with any external force acting to keep it in motion. Necking: This is a mode of tensile deformation where relatively large amounts of strain localize (permanently) disproportionately in a small region of the material. The neck constitutes a decrease in the local cross-sectional area and it can break when enough strain is applied across it. NEPSI: The acronym for the National Supervision and Inspection Center for Explosion Protection and Safety of Instrumentation. It is a government approved establishment that is mainly engaged in research and development of explosion protection technology, testing, verification and certification of electrical equipment for use in explosive atmospheres, as well as explosion protection and safety supervision and assessment of engineering projects. Nominal Displacement: The measure of the deformation of the force transducer when the rated load is applied. It is a factor that determines the stiffness of the transducer. Nominal Force: The rated force or load that specifies the maximum capacity of the force transducer. It is the same thing as full-scale output. It is always specified in the instrument’s datasheet. Nominal Temperature: The rated temperature range in which the force transducer works satisfactorily within the specifications in its datasheet. Non-Linearity: Linearity: This describes the deviation of the true input/output curve from the idealized straight line approximating it. Ideally, the output of a force transducer is meant to be proportional to the applied load, however, in practical measurement, there exist discrepancies called non-linearity error. NPL: The acronym for the National Physical Laboratory, UK’s national measurement institute. NTEP: The acronym for the National Type Evaluation Program. OEM: The acronym for Original Equipment Manufacturer. This is a company that produces equipment and instruments such as a force measurement device that may be marketed by another manufacturer. Operating Range Of The Excitation Voltage: The range of temperature values within which a transducer can operate at its rated capacity and perform satisfactorily within its specifications. Operating Temperature Range: This is the same as the Nominal or rated temperature range. Output Resistance: The resistance measured on the output terminals of a transducer at a standard temperature at zero-load and zero excitation. Overload Stop: The mechanical device designed to prevent overloading or overstressing of the transducer beyond its rated capacity. 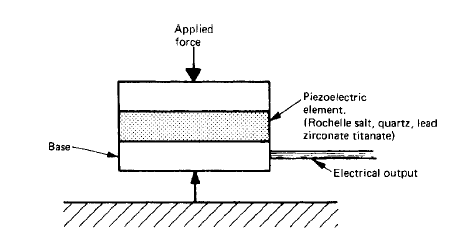 Piezoelectric Effect: This describes the ability of certain materials to generate an electric charge in response to an applied mechanical stress. Materials that exhibit this characteristic either occur naturally or artificially synthesized. Natural piezoelectric materials include Berlinite, quartz, topaz and Rochelle salt, while artificial ones include Barium Titanate and lead Zirconate. Piezoelectric Force Transducer: The transducer than uses the piezoelectric effect to measure an applied force or load. It is shown below. The applied force causes a proportional electrical charge to appear on the faces of the piezoelectric element. It is an active transducer, meaning the output power is supplied entirely by the input, hence a piezoelectric transducer does not need an external electrical excitation. Pneumatic Load Cell: A type of mechanical, force-balance load cell device that measures pressure or load by using a piston-cylinder arrangement. This arrangement uses a volume of gas housed in a confined space in the body of the cylinder to transmit pressure to a pneumatic pressure dial gauge. The pressure output on the gauge then shows the equivalent size of the applied load. The pressure output can also be a pressure transducer instead of a gauge. Precision: This describes the reproducibility of the measurement system. Pressure Transducer: The device that senses physical pressure and transforms it into an equivalent output signal, usually in an electrical form. The pressure transducer can replace the pressure gauge present at the pressure output of a pneumatic or hydraulic load cell. It offers more accurate readings than a pressure gauge. Primary Axis: The axis along which the applied load or face is designed to act. It is situated around the point of application of the force measurement instrument. Quarter-Bridge Load Cell: The load cell type that has a single strain gauge fixed into an arm of a Wheatstone bridge circuit together with completion resistors and a dummy gauge for temperature compensation. Random Errors: The errors that depict variations in output readings, that even though clearly observed, are difficult to explain. In engineering, probability and statistical tools are used in estimating random error. It is assumed that the random signal or error belongs to an ensemble of signals, with each signal having its own probability of occurrence. The probability distribution of the error is uniform about the mean. Rated Capacity: This is the full-scale output. Recalibration: The process of performing calibration after the initial calibration is done. Frequent recalibration should be performed at regular intervals of about 1 year to ensure that the instrument provides accurate measurements. Reference Standard: A force measurement instrument whose performance characteristics are known in relation to a primary standard. Reliability: The probability of the instrument performing satisfactorily under the stated conditions for a specified period of time. Repeatability: The measure of the agreement between the results of successive measurements of the differences of the output of a force measurement system for repeated applications of a given force in the same direction and within the range of the calibration forces applied. It shows the ability of a force measurement system to measure force consistently. Resolution: The ability of the force measurement system to detect and reliably indicate small changes in the characteristic of the measurement result. ROHS: The acronym for the Restriction of Hazardous Substances. RS232: The acronym for the Recommended Standard 232, a standard communication protocol for networking a computer and peripheral devices (such as a digital measurement instrument) to allow serial data exchange. Safe Over Range: The maximum load that can be applied to a force transducer without causing plastic deformation to its elastic element. Semiconductor Gauge: A strain gauge type manufactured from strips of semi-conducting silicon in either n-type or p-type. It exhibits special characteristics such as high output, no creep, and hysteresis, long fatigue life. They are widely used in force transducers, accelerometers, and pressure sensors. Sensitivity: The rate of change of the output signal as the desired signal at the input varies. The sensitivity of a transducer allows us to predict the output voltage from the knowledge of the excitation voltage and the value of the applied stimulus. Shielding: This involves placing a conductive surface around the critical parts of the instrument’s circuit so that the electromagnetic field which couples to it is attenuated. A good force transducer has a shield wire as its fifth wire terminal. Shock Resistance Test: The test carried out when there are unstable readings and random changes in the zero balance point of the load cell. It is done by connecting all the conductors together and then the resistance between all the connected wires and the load cell body is measured. Shunt Calibration: The calibration of a load cell transducer by the insertion of known shunt resistors into the appropriate arms of its Wheatstone bridge circuit. Shunt-To-Load Correlation: The numerical difference between the output readings obtained from shunt calibrations and the actual application of loads. Signal Conditioning Circuit: The circuit that performs signal filtering, amplification, and isolation to ensure a more accurate result is obtained. Stabilization Period: The time interval required to ensure that any further changes in the load to being measured is tolerable. Simply put, it is the time required for the output readings to stabilize and maintain a certain value before it is recorded as the actual output value. Standard Test Conditions: The ambient conditions under which measurements should be performed. It is abbreviated as STC. The conditions will include factors such as temperature, humidity, and pressure for force measurements. Static load: A load whose size/magnitude does not change with time. Stiffness: The ability of a body to resist deformation when a load is applied to it. It is similar to the young modulus. Strain Gauge: A resistive element that produces a change in its resistance proportional to an applied mechanical strain. Strain Gauge Transducers: The transducer type that uses the strain gauge as its underlying mechanism. It has the strain gauge(s) attached to a structural, which undergoes deformation when a load is applied to the load cell. It is the most common type of load cell found in measurement devices all across various industries. Stress: The ratio of the force applied to the cross-sectional. Whenever a material is loaded, a stress is generated within it that causes a deformation in its geometric shape. Structural Member: The constituent part of force transducers that provides support and housing for other components. The geometric shape of the structural member also determines the category to which the load cell belongs. According to the shape of the structural members, load cells can be beam load cells, disk load cells, S-type, tension link load cell and miniature load cell. Summing Junctions: There are used for summing data output from multiple load cells into a single output. System Requirements: The necessary and desired specifications and standards that the force measurement system must meet. It is always specified by the user, client or the expert designing the whole system. When the system requirements are known, then the specific instrument that best matches these requirements are selected for use. Systematic Error: This is the error inherent in the operation of a force measurement instrument. It can be eliminated through system calibration. Tare Weight: The weight of an empty container or the loading platform. TEDS: The acronym for the Transducer Electronic Datasheet. It contains details about the technical and performance characteristics of the transducer. Telemetry: An automated communication process that describes the transmission of data or information between two geographical locations. In instrumentation, transmission is required to enable centralized supervisory data login, signal processing or control of large-scale systems. Telemetry can be provided by electrical transmission as well as pneumatic transmission. Pneumatic transmission is employed in a hazardous area where an electrical power failure can be very disastrous. Temperature Compensation: This is carried out to eliminate the dimensional changes caused by temperature changes in a transducer. To cater to these unwanted thermal effects, self-temperature compensated gauges are used. Dummy gauges can also be used so that the thermal effects will cancel and be eliminated from the output. Tensile Strength: The capacity of a material to withstand tensile forces wanting to stretch the material. Thin Film Strain Gauge: The strain gauge type produced by evaporating thin films of metals or alloys onto an elastic element. Tolerance: The allowable maximum deviation from the standard specifications. Torque: The turning effect caused by a force acting at a distance on a body. It is the product of the force and the perpendicular distance between the line of action of the force and the center of rotation at which it is exerted. Torsional Modulus: The modulus of elasticity of a material when subjected to a torque force. Traceability: This is another name for Calibration. Troubleshooting: The process of detecting, tracking, analyzing and correcting faults in a measurement system. There are various standard troubleshooting procedures to follow for each force measurement instrument. True Strain: This is the natural logarithm of the Engineering Strain. Ultimate Strength: The maximum stress a material can withstand before it breaks. Unloaded Output Voltage: The electrical output voltage from the force transducer under zero load or no load. Vibrating Wire Load Cell: The transducer that consists of a taut ferromagnetic wire that is excited into transverse vibrations by a drive coil. These vibrations are detected by a pick-up coil. The drive coil and pickup coil have magnetic cores and once the wire has been excited to its resonant frequency for a given tension. This frequency is maintained by a self-oscillatory systems system formed between the two coils. The resonant frequency is, therefore, a measure of the applied force at that instant. Visual Displays: These are used to indicate either qualitative or quantitative events. A qualitative event means the presence or absence of some signals. A quantitative event means the value of the signal. LEDs and LCDs are the common types of visual displays. Wheatstone bridge: A circuit configuration that is majorly used to measure electrical parameters such as resistance, inductance, and capacitance. The configuration incorporates an excitations source, four arms where passive components can be fixed and an output terminal. It should be noted that In order to measure capacitance or inductance, the normal Wheatstone bridge is modified but still follows the same circuit configuration pattern. Wire Strain Gauge: The original type of resistance strain gauge, though now widely replaced by foil and thin film strain gauges. It still finds application in high-temperature transducers and stress analysis. Young Modulus: The ratio of the stress caused by an applied force acting over an area of a material to the strain. Zero Balance: This is the default output signal of the transducer when no load or zero-load is applied to it. Zero Offset: The difference between the zero-load specified in the instrument’s datasheet and the actual zero load output obtained by direct measurement under zero-load conditions (removal of all weights, loads and dead load). Difference between Analog and Digital Circuits. Instrumentation Reference Book, W. Boyes. A Guide to the Measurement of Force, Andy Hunt.